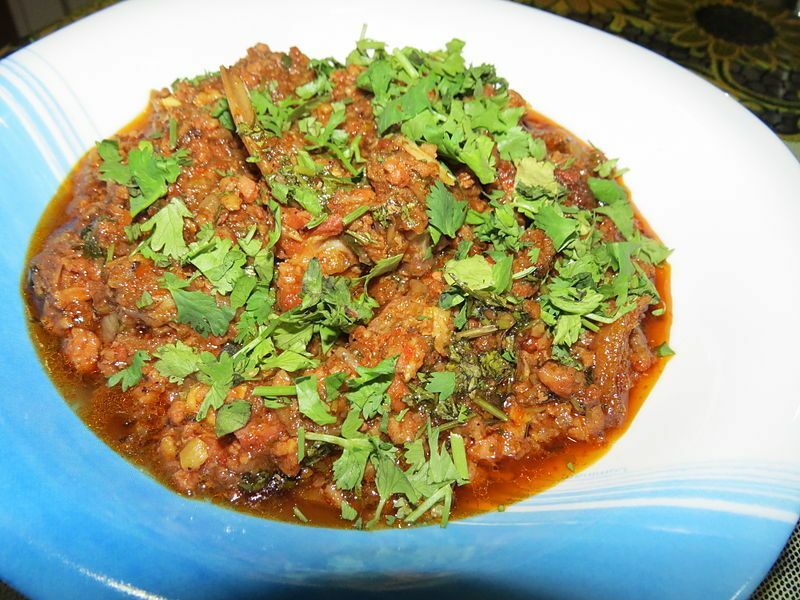 This is a wonderful recipe for Mutton mince which is cooked with aromatic spices, onion, garlic, tomatoes, fresh chillies and peas. It can be served with rice, potatoes, naan or flatbreads or a jacket potato. 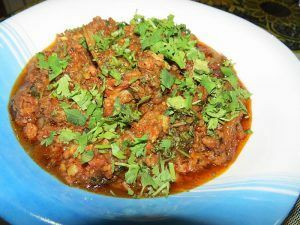 This simple and straight forward dish of curried minced mutton is full of rich flavour and is one of our great favorites. Read through the recipe and gather all ingredients. Put kettle on to boil. Heat oil in pan, add onions and cook on medium heat until light brown. Add ginger, garlic, chillies and tomato to a food processor and blitz. Then add to the onions. Add cumin, garam masala, salt, chilli powder and turmeric. Stir and cook for 10-15 minutes on a medium heat. If curry sauce starts to stick, turn down heat and add a splash of water. Add the mince and cook on a medium heat and stir well. Turn down heat, cover pan and leave to cook on a low heat for about 1 hour. Then place on a high heat and cook until the water has evaporated with the lid off. Then cook on a low heat and stir. You will know when this is done as the oil will start to separate from the curry. Add potatoes and peas, stir and add 1 cup of boiling hot water. Cover pan and leave to cook on low heat for 15 minutes. Check to make sure the potatoes are cooked, add chopped coriander and server with chapatti, naan or rice. Always add hot water to keep the temperature consistent. Left over keema can be used as a filling for toasties or puff pastry parcels, in a pasta bake, on pizza or with baked potatoes.